For the times you made me laugh the hardest. For the times I fell and you got me right at your arms. For the times I did things that I never thought I would be able to do. For the times you fought for my fights. And for the times you saw and still loved the real me. Don't know how you coped with me when I'm weak. Just want you to know it was and will always be your magic. 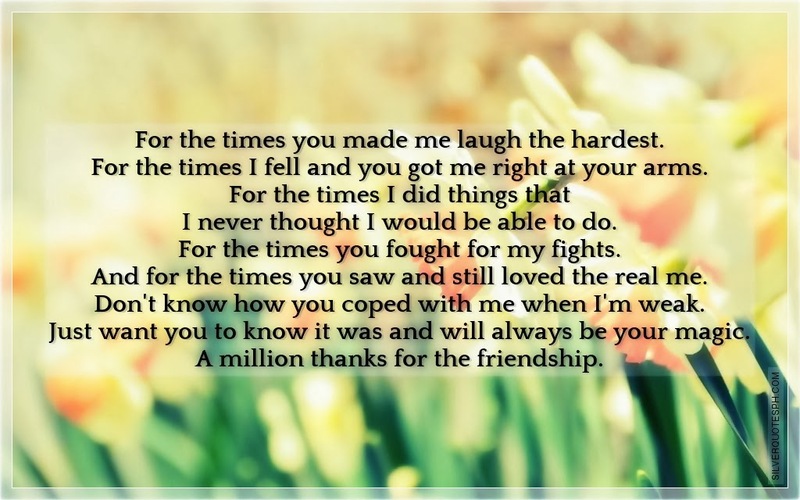 A million thanks for the friendship.